Okay - here's Butterfly! My new pattern revamped from my oldish pattern. I love how I designed this so much better and the colors, well - I think I am in love! I have always been a sucker for pink and green, add in brown and I think it is the perfect combo. The cute flower fabric was a perfect fit. The thing that I love about this pattern is that it is easy! Strip piecing and it's done so fast. 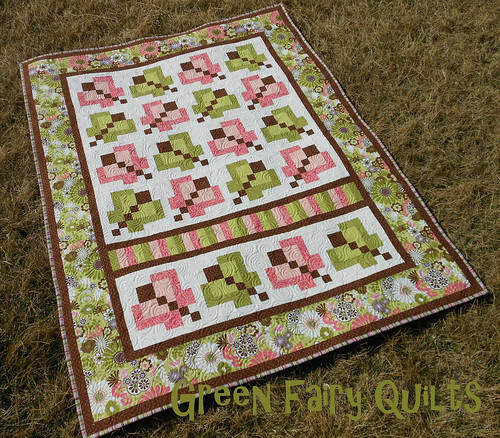 But, since we love precuts, this quilt can also be made with some yardage and a layer cake or a few fat quarters from your stash. 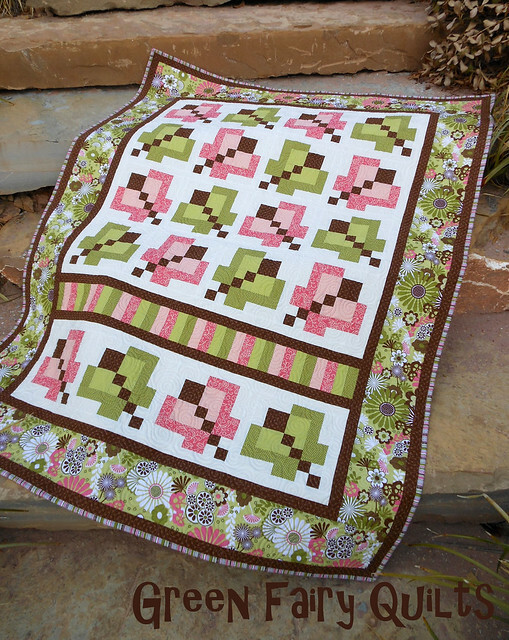 It would be an awesome scrappy butterfly quilt. And this is where I have to show my guilt for not giving this quilt a custom quilt job. 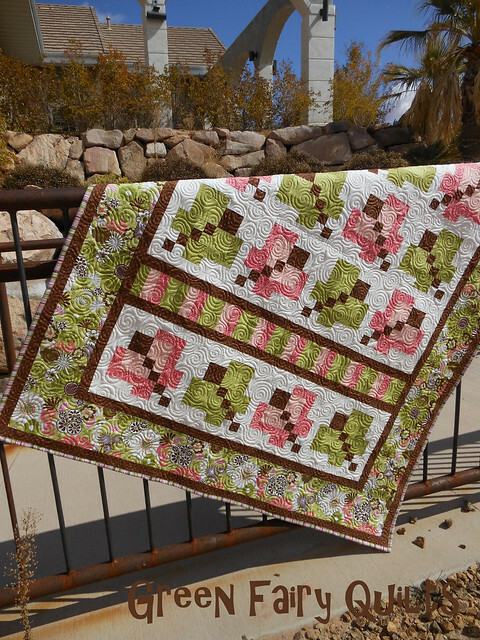 Oh, the things I could do - but, I want you to focus on the design and not the quilting. So, that's why I quilted a free motion allover swirl. Have I ever told you that I love pieced backs? Well - I do! 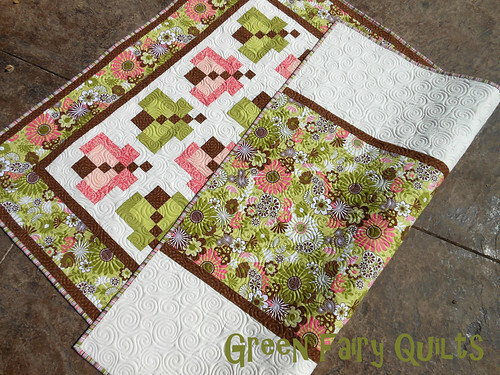 So, the quilt really is reversible and I hope, just hope that my sister and her new baby will love it! I have the instructions all finished and ready to go, I am just finalizing the cover. You can buy the pattern here if you would like and the patterns will ship out Monday.